From his lab at the University of Virginia's Centre for Open Science, immunologist Dr Tim Errington runs The Reproducibility Project, which attempted to repeat the findings reported in five landmark cancer studies. "The idea here is to take a bunch of experiments and to try and do the exact same thing to see if we can get the same results." After meticulous research involving painstaking attention to detail over several years (the project was launched in 2011), the team was able to confirm only two of the original studies' findings. "It's worrying because replication is supposed to be a hallmark of scientific integrity," says Dr Errington. Marcus Munafo is one of them. Now professor of biological psychology at Bristol University, he almost gave up on a career in science when, as a PhD student, he failed to reproduce a textbook study on anxiety. "I had a crisis of confidence. I thought maybe it's me, maybe I didn't run my study well, maybe I'm not cut out to be a scientist." The problem, it turned out, was not with Marcus Munafo's science, but with the way the scientific literature had been "tidied up" to present a much clearer, more robust outcome. "What we see in the published literature is a highly curated version of what's actually happened," he says. "Everyone has to take a share of the blame," she argues. "The way the system is set up encourages less than optimal outcomes." For its part, the journal Nature is taking steps to address the problem. It's introduced a reproducibility checklist for submitting authors, designed to improve reliability and rigour. "Replication is something scientists should be thinking about before they write the paper," says Ritu Dhand, the editorial director at Nature. "It is a big problem, but it's something the journals can't tackle on their own. It's going to take a multi-pronged approach involving funders, the institutes, the journals and the researchers." But we need to be bolder, according to the Edinburgh neuroscientist Prof Malcolm Macleod. "The issue of replication goes to the heart of the scientific process." Writing in the latest edition of Nature, he outlines a new approach to animal studies that calls for independent, statistically rigorous confirmation of a paper's central hypothesis before publication. "Without efforts to reproduce the findings of others, we don't know if the facts out there actually represent what's happening in biology or not." Without knowing whether the published scientific literature is built on solid foundations or sand, he argues, we're wasting both time and money. 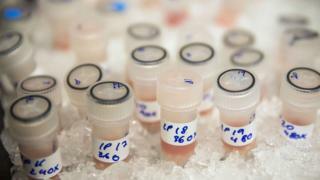 "It could be that we would be much further forward in terms of developing new cures and treatments. It's a regrettable situation, but I'm afraid that's the situation we find ourselves in." You can listen to Tom Feilden's report and the further discussion on BBC Radio 4's Today programme.